Well this is our exciting schedule for the conference coming up in less than a month! Day 1: Friday starts with our vendor expo which will be a great way to see some local and non local small businesses, big companies and professionals that are passionate about the fitness industry! This will be a great way to kick off the event and meet some like-minded people. Our magazine and commercial casting calls will be running throughout the morning where those with tickets will be able to meet with companies looking for photoshoot features for their campaigns, clothing company, magazine spread and so much more! After, the casting calls you”ll get the opportunity to meet with the magazine editors, so you can showcase your past work, present photos and future aspirations. This all can be a little stressful and chaotic for everyone, so when everything is wrapped up we will end the day with a networking mixer at the We-Ko-Pa Resort! Day 2: an awesome time to get advice from our hall of speakers which is jam packed with amazing men and women from all spectrums of the fitness and business industry. There will be a lot of information to take in so make sure you have your pen and paper, don’t be afraid to ask questions and talk to our speakers when given the chance! They are at FITposium to help inspire and teach people like you to be a success! When all of the days speakers come to an end you have to the time to rewind at the resort, unless you are one of our VIP ticket holders!!! Then you get the chance to get some EXCLUSIVE benefits that could help enhance and inspire your brand/business! This is an opportunity of a lifetime honestly! Day 3: now that you’ll be all rested up from the speakers, we have another fun filled day of fitness business learning, fashion show, exclusive prized and awards for our FITposium family! You’ll be able to dive into more of what you learned from the previous day and figure out how to bring everything into your own brand/business. Sadly, this will be the last day but luckily you will now be apart of a large community of success stories, photographers, editors, other entrepreneurs and much more! The networking that you’ll be able to do and advice to take home with you will inspire you to launch your brand/business to the next level. Make sure to keep in touch with us and get to work on building your brand so you’ll be our 2019 Conference FITpreneur of the Year! You’ll make friends, learn so much valuable information and be apart of a community that builds one another up. 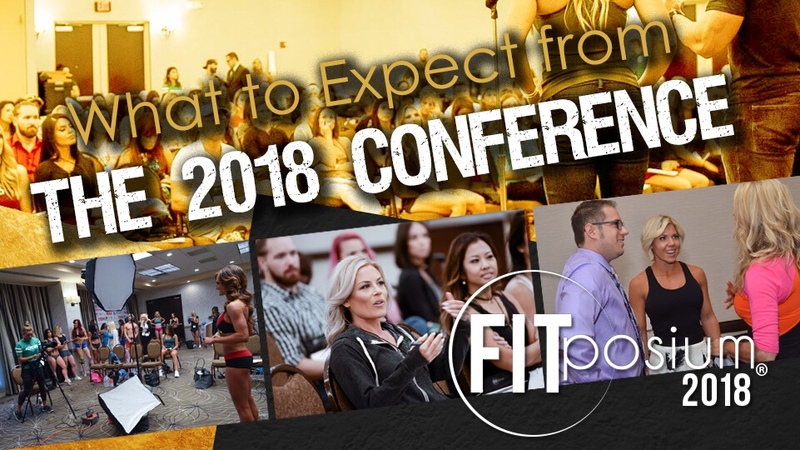 The opportunities you will have at FITposium are ones that you would never find at any other conference for the fitness community! We can’t wait to see you there!